I always love the beautiful blossom of sakura and wishes to do that para para sakura dance under the blooming pinkish sakura. My dreams come true when my ex Boss brought me to Hanzhou during the early blossom season. Thank you ex Boss! I didn't dance under the sakura tree but with the back ground of beautiful bloom. 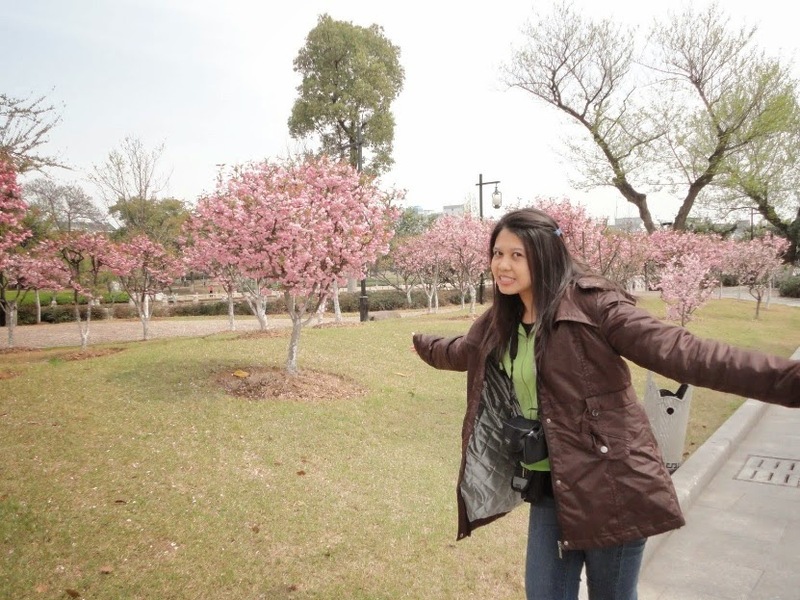 Look at my awkward not even dance position....its more like flying...kekekeke...this is from year 2010 photo. Do you know that sakura not just beautiful but also has many uses ? I tried sakura tea at Hoh Chi Minh City once....hehehehe not so nice to be honest but I would love to try the ice cream since many said it is delicious ice cream. No matter what...I always love the refreshing sweet smells of Sakura. I was so happy when L'Oreal Ganier last minute decision to sponsor the Sakura product range for Butterfly Beauty Box. I always wanted to try this product not just because its look prettiest shade of pink but also because of the name of sakura. My dreams came true. Sakura has many benefit for skin too. Why? 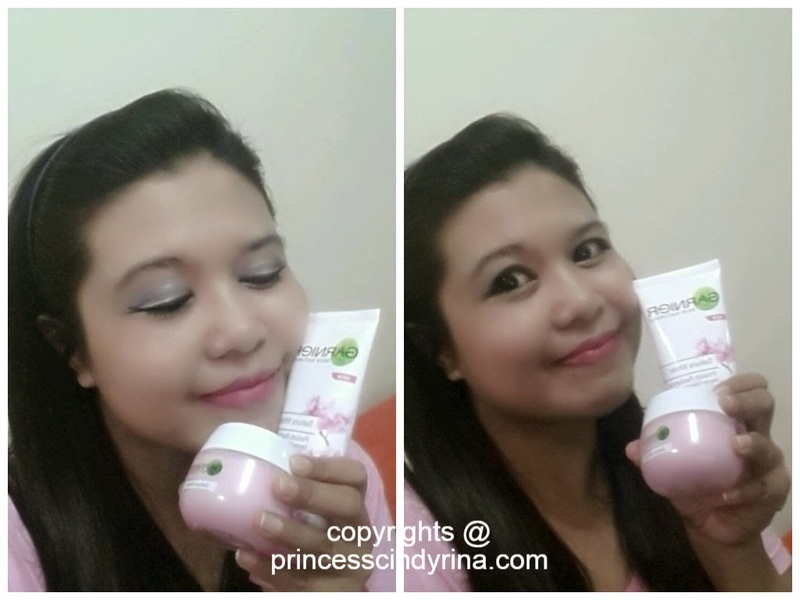 It can give you radiant skin witg a rosy sheen, as if the sakura flowers are blooming on our cheeks! 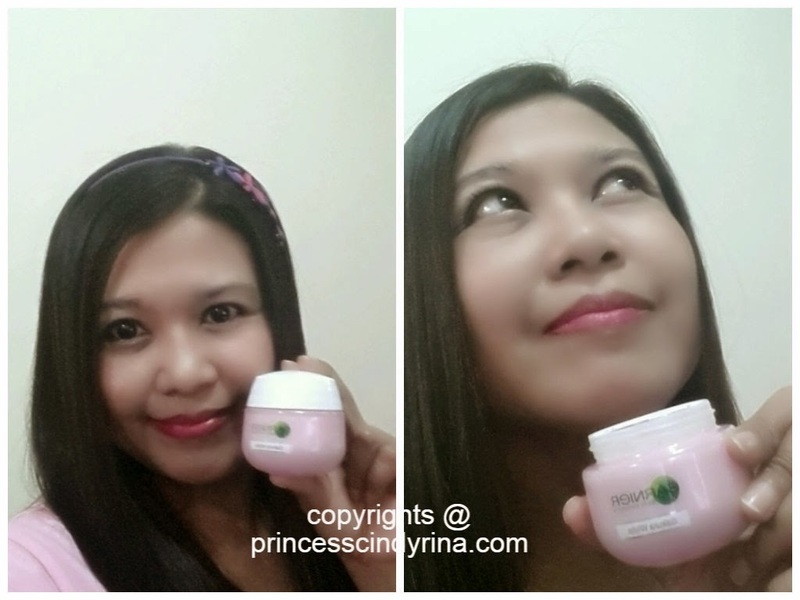 I was given full sized The Sakura White Cleansing foam and Moisturising Cream for testing. 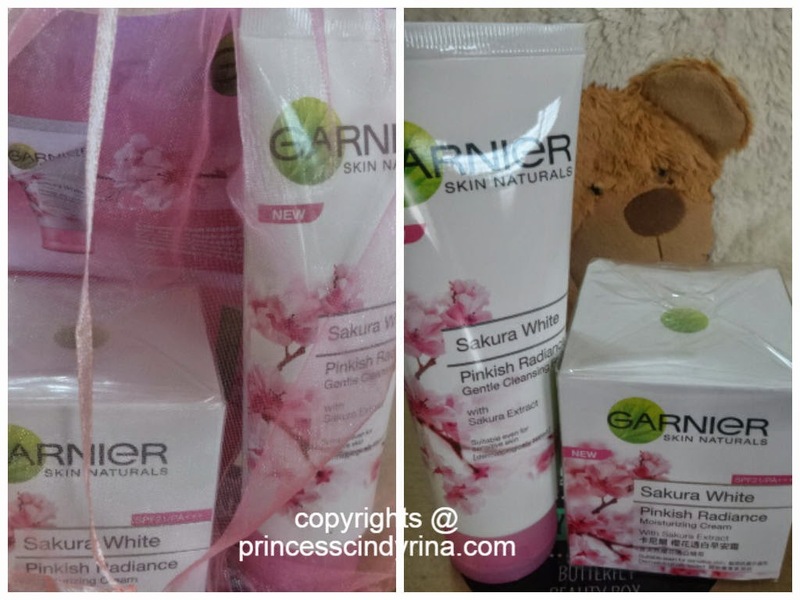 When I have chance to finally try out the Garnier Sakura White Cleansing foam, I was SUPER EXCITED !!!! The gel came out pretty pink from its tube and totally love the refreshing smells of this product onto my skin! I gently cleanses my skin thoroughly and it leaves a clean effect to my skin. Well , I am that person who always have problem sleeping and too long exposure under sun, so my skin have been very dull and uneven tone. I really wish I could achieve the translucent and dewy with sweet pink flush on the cheeks if I continue use this product. I then use this day cream. Since this is name as day cream so I don't use this cream during night time. I love the creamy texture but non greasy, oily and sticky effect to my skin. It feels like applying yogurt to skin. I love it so much and really don't hesitate to apply more of this..hahahaha greedy me. 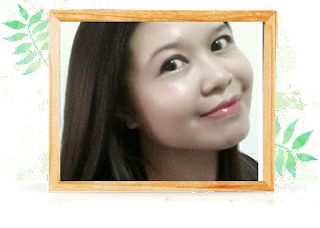 Despite my over drying skin, the cream is very strong to hydrate my skin and really helps to continue moisturise my skin whole day long. Ah...so in love! This cream also has SPF21/PA+ and it helps to protect my skin under sun...so its really helps to slow down my skin aging process. Did I mention to you its smells super lovely sweet refreshing smells???? Oh! not to forget the cream came with a lovely baby pink too! * Vitamin CG - protect skin from free radicals , oxidative stress and damage which often present in pollution. * Vitamin B3 - provides shield and protects skin against environment hazards by keeping skin's moisture level balanced. * Sakura extracts - anti inflamatory action which helps to soothe and recovers skin from damage. Do you know that this Garneir Sakura White range are very affordable in term of pricing???? Drop by to http://www.facebook.com/GarnierMalaysia for more information and on this product. I got some samples of the Sakura White in my beauty boxes some time ago & kinda like the texture. Lovely review, dear! Haha Rina you're so cute!